So my husband and I saw this heart-warming Subaru commercial the other day. It shows a teenager going on a drive in “Mom’s Subaru” with his friend I’m calling Ricky. The driver is a typical teenage boy, and Ricky is playing the part of goofball, and every mother-of-a-teenager’s worst nightmare. The way the commercial is edited doesn’t show the lapse in time from the joy ride, to the teen driver arriving home and giving Mom the keys. At this point my husband said, “Where did the kid’s friend go?” And we both started laughing hysterically. The commercial ends with the voice over of the mom says, “I raised my son to be careful, but just to be safe I bought a Subaru.” She then looks at the Subaru and smiles. It is a smart, concise, and well played commercial….but because of the editing, we were left wondering what was behind that smile…and is Ricky still in the car? Maybe the commercial was trying to tap into the worst of latent helicopter parenting instincts? Maybe a great subliminal message to parents of young Millennials? Perhaps Subaru’s kiddy locks even work on teenagers? Anyway, that’s what we saw. Subaru: 1, Ricky: 0. But I will add that I saw a this Subaru commercial below on TV the other night, and made me tear up a bit. So that leaves us at Subaru: 2. Actually Subaru always reminds me of a ‘parent’ car.. maybe because of their commercials. I think safe and eco-friendly. I dunno if that’s true, but the impression. Also, I would maybe if I had the $$. No need to right now. 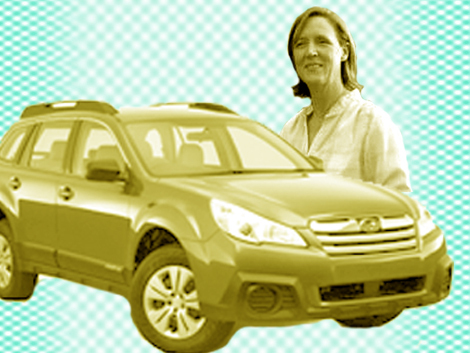 Is Subaru the answer for parents of Millennials?